A full Planning Application for the Midland Mills site off Water Lane in Holbeck, including a 32 storey tower block, will be discussed by Councillors on the City Plans Panel next Thursday (24 January 2019). As previously reported on South Leeds Life, Midland Mills dates back two hundred years to the start of the Industrial Revolution and the buildings are Grade II Listed. In order to cover the costs of renovation and refurbishment the developers want to build 284 flats in a 32 storey tower block on the site. Whilst the plans for the mill buildings have generally been welcomed, Historic England, The Victorian Society and the Council for British Archaeology have all objected to the tower block. They argue that the block is not keeping with its surroundings and the Holbeck Conservation Area, particularly Temple Works, Marshall’s Mill and Tower Works. 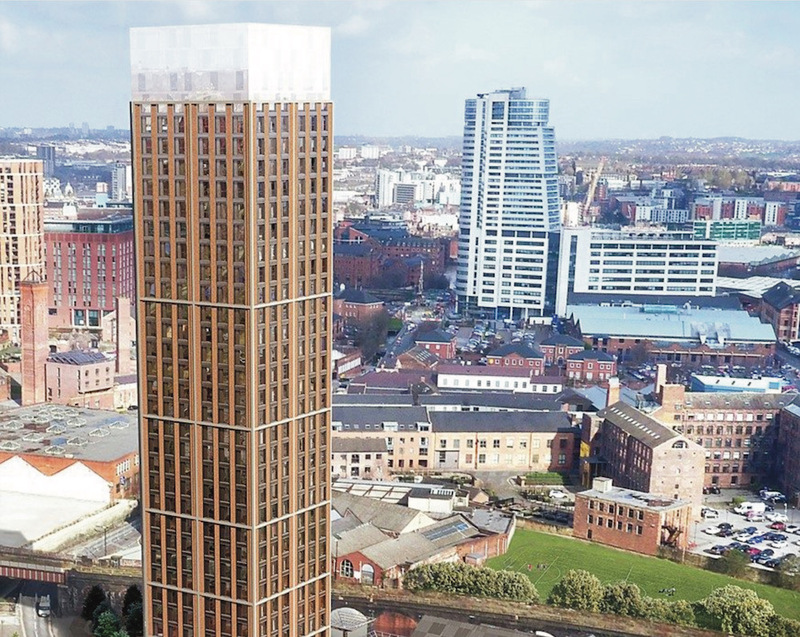 However, Leeds Civic Trust’s comments are more nuanced, recognising that planning permission has already been granted in the wider area for mid height to tall blocks. The plans also feature no car parking spaces for residents, but secure cycle parking for over 300 bikes. Beeston & Holbeck ward Councillors have raised concerns about this aspect as they expect home owners to continue owning cars and be forced to park on the already very busy local streets. Councillors have also complained that at 5% (15 flats), the number of ‘affordable’ homes within the scheme is too low. You can read the full report on the Council website here.